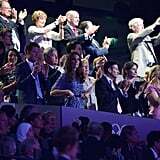 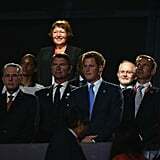 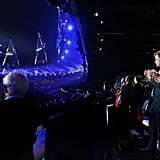 Kate Middleton and Prince Harry had great seats for yesterday evening's Olympics closing ceremony in London. 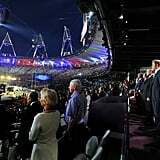 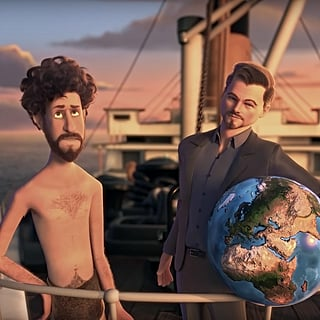 They were on hand to watch as British musicians including Kate Bush, George Michael, and One Direction performed — check out all the closing ceremony highlights! 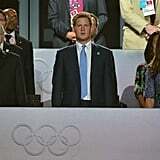 Both Kate and Harry have been frequently sighted around Olympic Park during the Games' 16-day duration. 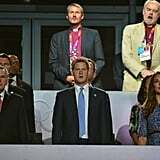 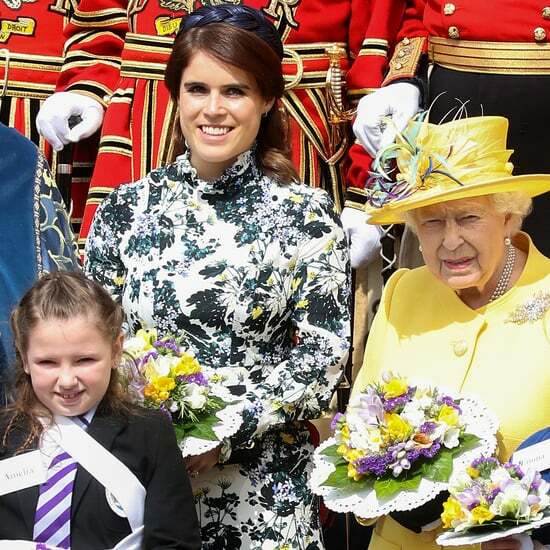 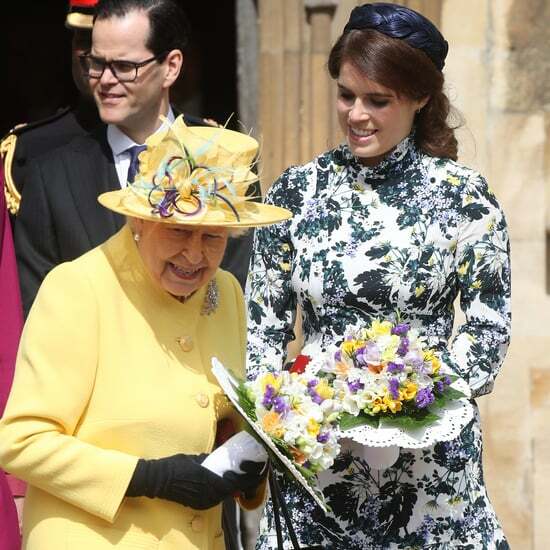 Kate's husband, Prince William, was able to attend the opening ceremony and many early sporting events, but he was called back to work with the Royal Air Force last week. 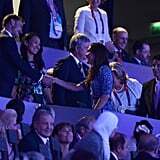 Kate and Harry, though, have been a fun royal presence, congratulating British medal winners and cheering on Team GB during final matches. 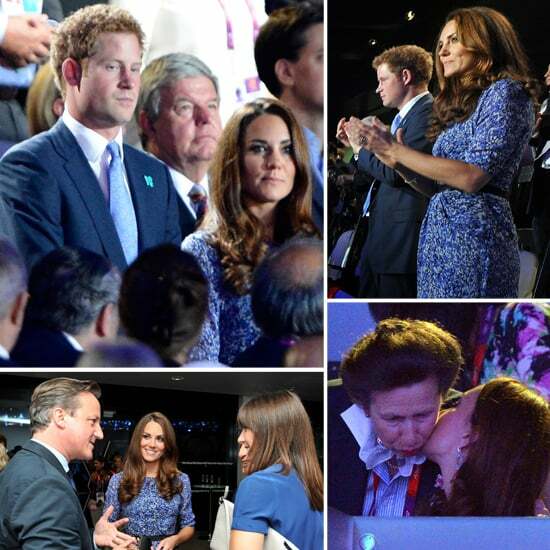 Kate, decked out in a blue dress from Whistles, was seen giving William and Harry's aunt Princess Anne a kiss. 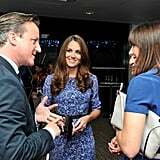 Later on, Kate also stopped to chat with Prime Minister David Cameron and his wife, Samantha.